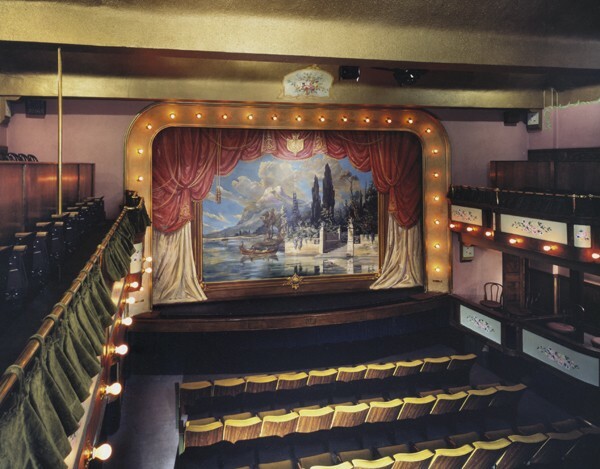 The Sheridan Opera House in Telluride, Colorado was built by the Telluride miners in 1913 as a Vaudeville Theater and cultural center. In 1991 the Sheridan Arts Foundation was created, saving the opera house from demolition. Today, this 240 seat intimate theater has become a non-profit venue benefiting many local and national charitable organizations. The Sheridan Opera House, one of Telluride’s most well-loved and most frequently-used buildings, underwent a multi-phase project of restoration. 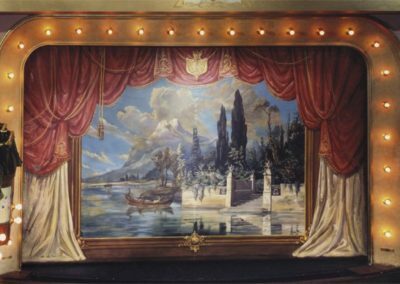 As an early part of the restoration, Conrad Schmitt Studios restored the highly decorative mural on the fire curtain. 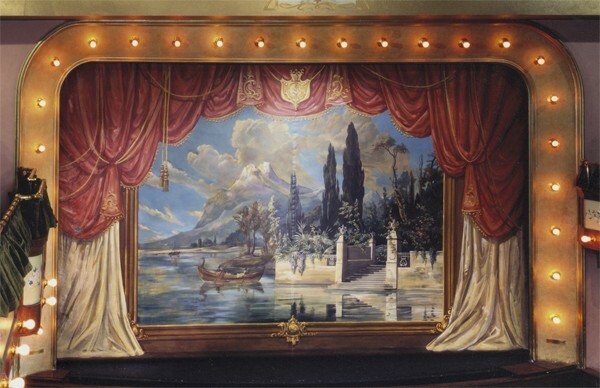 Through years of steady use, water damage, punctured material, and deteriorating paint greatly jeopardized the curtain’s reputation. This is just one of many important efforts to preserve Telluride’s famous performance space.